One of the perks of being a pilot is flying in to some of the most interesting and scenic destinations in the world. Here are the top picks for this summer from the team at Monmouth Executive Airport in NJ. Key West (KEYW), Florida Keys: Nothing says “Summer” quite like Florida, so pack your swimsuit and head down to the closest destination to the Caribbean you can get without having to deal with Customs! Dauphin Island (4R9), Alabama: Ever wanted to land on an aircraft carrier? This is the closest most pilots get! Also known as Jeremiah Denton Airport, you’ll come in just 5 feet above sea level onto a runway boarded by water on 3 sides. Block Island (KBID), Rhode Island: This is a great summer destination for anyone who loves exploring the natural world, diving to shipwrecks, and relaxing on wilderness beaches. The landing is pretty dramatic too, with a scenic but short 2,502 x 100-foot runway. First Flight Airport (KFFA), North Carolina: For this trip, you’re flying in the footsteps of the Wright Brothers when you land and take off at this historic airport, making it a must for any pilot. The scenic monument, just steps away from the runway, is truly breath-taking. Grand Canyon West (1G4), Arizona: Admire the mighty Grand Canyon from the ultimate viewpoint as you come in to land on this runway. The land is owned by the Hualapai tribe of Native Americans and there is a landing fee of up to $100, but the view and the experience is well worth it! Mackinac Island (KMCD), Michigan: With a newly reconstructed 3,500 runway, you’re guaranteed a smooth landing on this island destination. It’s a unique holiday experience here, with no motorized vehicles allowed on the island – so be prepared to enjoy a horse carriage ride into town, hiking, cycling and enjoying the historic town. Finding hangar space is a challenge anywhere in the country, but our offering of competitively priced custom aircraft hangars and aircraft storage options along with our central location, makes us a real alternative to the crowded airports of Teterboro and Morristown. Through our world-class amenities, aircraft maintenance, hangars and services, we offer private clients an exceptional flying experience. For more information on our FBO services, aircraft hangars in NJ or custom hangar space in NJ, please visit our website at http://monmouthjetcenter.com/ today. Travelling by private jet is the only way to fly if you’re one of the USA’s top executives, celebrities, politicians or savvy travelers, so it’s no surprise that charter companies are expanding to meet this demand for luxury air travel. If you’re buying a new private jet for your fleet, it’s important to protect this important investment – and our custom hangar space is the best way to do it. Custom built aircraft hangar space where you can build your charter company’s hangar to your own specifications to ensure that your needs are met exactly. Includes office space. With the largest private runway in the country at 7300 feet, we can easily handle almost any class of private jet. Our landing lights operate 24/7, as do our fuel and de-icing services. In addition, we can offer aircraft maintenance services on-site for your convenience. For your clients, we offer an expanded range of FBO services through our recently upgraded facilities, including our well-appointed waiting lounge, dining and concierge services. Finding hangar space is a challenge anywhere in the country, but our offering of competitively priced custom hangars and aircraft storage options along with our central location, makes us a real alternative to the crowded airports of Teterboro and Morristown. Through our world-class amenities, hangars and services, we offer private clients an exceptional flying experience. For more information on our FBO services or custom hangar space in NJ, please visit our website at http://monmouthjetcenter.com/ today. We have the longest private runway in the country: At over 7,300 feet, we can comfortably accommodate almost any non-commercial jet, making hair-raising take-offs and landings on shorter runways a thing of the past. We’re located in Class B airspace: Crowded airspace is stressful for any pilot, no matter how experienced they are. In addition to the extra risk, pilots and passengers have to deal with lengthy take-off and landing delays as well as more complicated flight paths. All of our FBO services run 24 hours a day, 7 days a week: Some private airports limit their FBO services to certain schedules – not us. With crew and passenger lounges, executive limousine and travel services, concierge services, catering, de-icing and lavatory servicing (and much more) operating as and when you need them, all your crew and guest needs are met throughout your stay. We’re centrally located: Monmouth Jet Center is surprisingly convenient in terms of its location to the central hubs of New York and Philadelphia. Just over an hour’s drive or 20-minute helicopter ride from the center of Manhattan, and just 5 minutes from the Garden State Parkway, it provides quick and easy links for pilots, crew and passengers alike. Competitively priced fuel: Priced at better rates than Teterboro and Morristown, we offer both AVGas and Jet-A at great rates. In addition to fuel incentive programs, we also offer volume fuel discounts and self-service rates that offer additional savings. We have airplane hangar space available now! : Protecting your investment is key whether you’re a private pilot or an operator – and the best way to do it is to keep your jet out of the elements. With custom built hangars, common-use hangars, t-hangars and larger aircraft hangars with attached office space for rent or build, qw can meet your specific needs exactly. At Monmouth Executive Airport, we’ve made service our differentiator. From a wide range of world-class FBO services to custom-built airplane hangar space and more, we set ourselves apart from the hassle and crowds of our competitors. What does it take to learn to fly? Training to become a pilot – whether commercial, private or for recreational purposes – takes several essential things: training, qualifications and passion. Monmouth Executive Airport’s flight school in NJ explores just what it takes to become a pilot. As long as you are at least 17 years old and have passed the Federal Aviation Authority’s medical examination, you can start learning to fly. Generally, this screening process looks for medical issues which can interfere with your ability to fly safely, including heart attacks, fainting spells and seizures. Many people with physical and hearing disabilities can still qualify for training and there is no upper age limit for qualifying. What qualifications do I need to fly? There are three main types of certification, depending on what you would like to achieve in your training. These include a Recreational Pilot License (RPL), a Private Pilot License (PPL) and a Commercial Pilot License (CPL). Most people and flight schools choose to focus primarily on PPL and CPL courses. At a Part 61 flight school you will be required to do 40 hours of flight training for a PPL and 250 for a CPL, while Part 141 flight school requires 35 and 190 flight hours respectively for each of these licenses. In addition to your flight time, you will have to pass an FAA Third Class medical examination given by an Air Medical Examiner, an FAA written examinations and an oral and flight test given by a FAA Designated Examiner. What airplanes will I learn on? 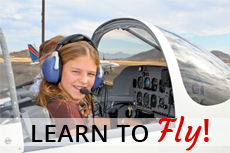 There is a range of airplanes available for flight training and these will differ from school to school. At Eagles View Aviation, Inc., the ten expertly maintained training aircraft include single and twin-engine Cessna airplanes. Monmouth Executive Airport is home to Eagles View flight school. With over 20 years of training experience, dedicated Certified Flight Instructors and a fleet of ten aircraft, we have logged over 68 thousand flight instruction hours and trained many career and recreational pilots. For more information about our flight school and flying lessons, please visit our website at http://monmouthjetcenter.com/ or contact us today.